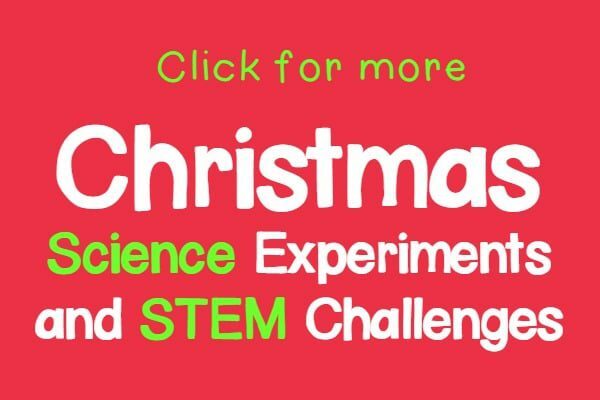 STEM Enrichment Activities: Don't Break the Presents! 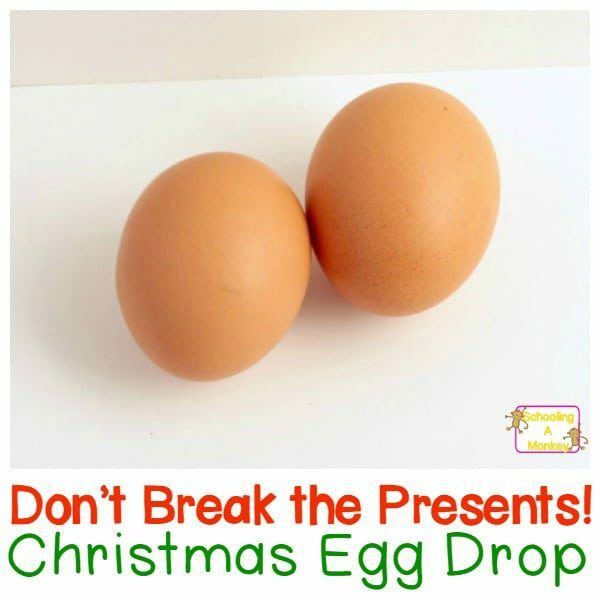 STEM Enrichment Activities: Don’t Break the Presents! We’ve tried an egg drop before, but this time, I thought it would be fun to give it a little Christmas STEM twist. I challenged the girls to make packages for their eggs using only items from our gift wrapping supplies. We live on the third floor, so our balcony is the perfect place to test an egg drop. I’m always surprised at how much speed the eggs gather before they hit the ground below. 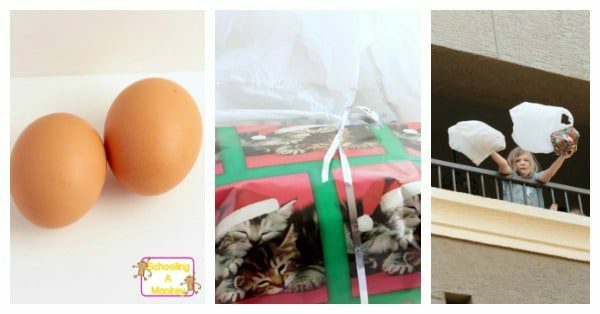 Find out how to make your own Christmas-themed egg drop below. You just need a few simple Christmas wrapping supplies to make this challenge work. I let the kids design how they wanted to pack their eggs. However, before packing the eggs, we put them into zip lock baggies so that if they did happen to break, it wouldn’t get messy. 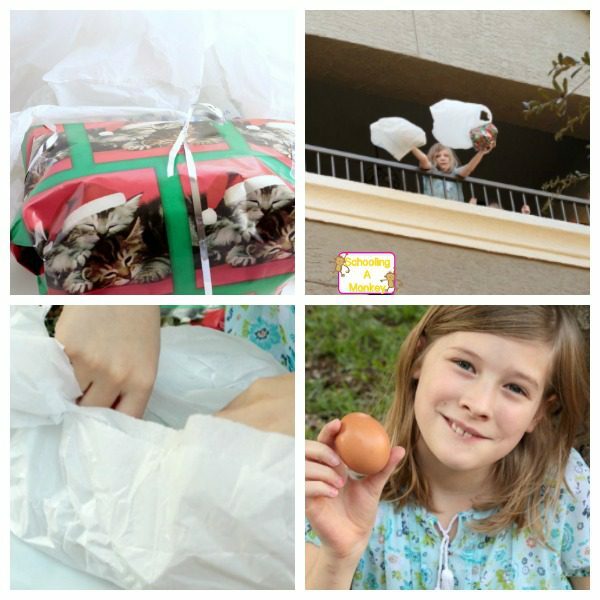 The girls wrapped their eggs in a series of air packs, tissue paper, and finally, in wrapping paper. They then tied them up like real packages. Both of the girls wanted to add a parachute to slow the descent of the packages (although, I don’t think they worked as intended) so they taped a grocery sack to the top. Monkey threw both packages off the balcony because Bo was too short. The packages landed with a solid thump, and I was sure they were broken. 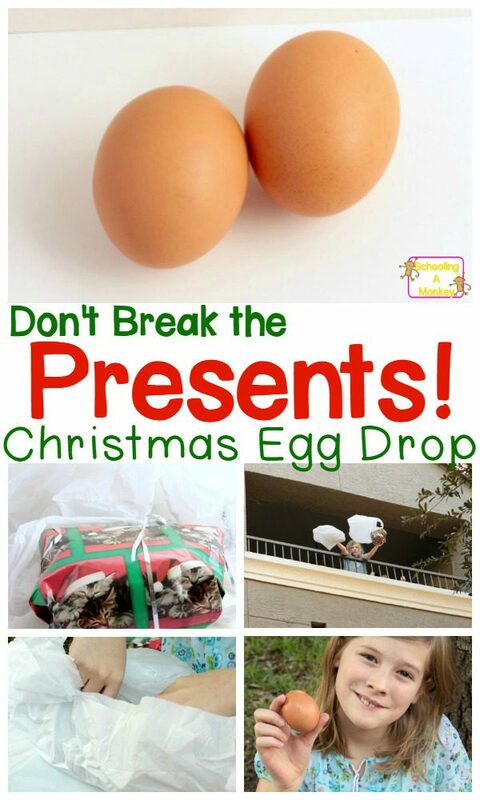 But, upon opening the packages, the eggs were totally fine! Success!